The Warriors will face off with the number one pick in last year’s draft. The Timberwolves are better off losing at this point but both teams will be playing for pride. The Warriors will have two games left in the regular season after this matchup. Outside of Andrew Wiggins, Zach LaVine, and Kevin Martin, the casual NBA fan may not recognize the Wolves’ active roster. Stephen Curry of the Warriors opened the game the same way he left off the last one. He drained a three-ball to give the Warriors their first basket. LaVine showed poise and wouldn’t back down from the MVP candidate. 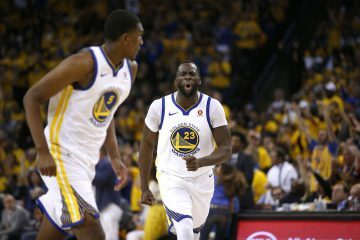 Draymond Green picked up two early fouls and was forced to sit with only three minutes of action. Five minutes in and the Wolves already had eight free throw attempts. 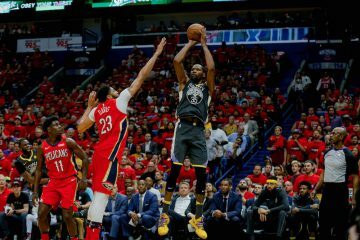 On their first seven shots, five of them were assisted as the Warriors continued to play together. At the first buzzer, Curry exploded for 15 points on 4/8 shooting while playing in the entire quarter. 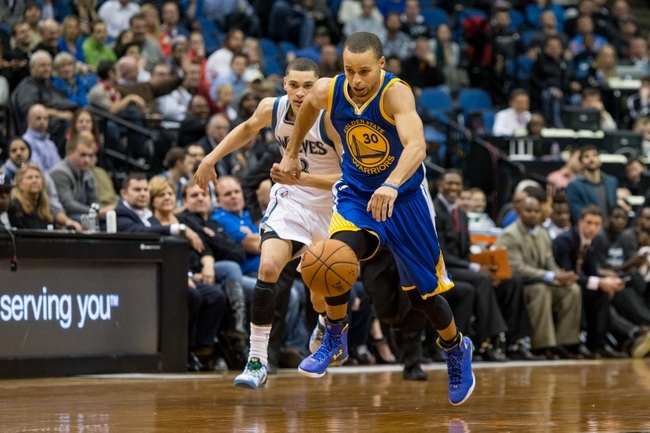 Wiggins and LaVine kept the Wolves on pace with the Warriors by scoring all seven points early. For the Dubs, Klay Thompson began to score and dipped into double digit territory. The Warriors took the lead early in the quarter and didn’t look back. Although the Warriors put up 32 points in the quarter, they couldn’t pull away. The Splash Brothers combined for 32 of the Warriors’ 60 points at the half. Scoring in the third quarter was scarce as both teams ramped up the defense. 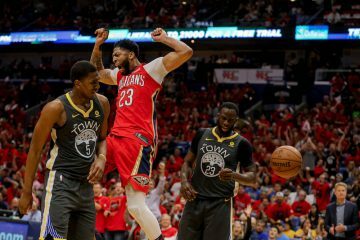 With solid defense and unselfish basketball, Golden State pushed their lead to double digits at 73-63. Green made his money on the boards with 13 rebounds. According to GSW Stats, this was his third-straight game with double digit rebounds. Without consideration for his fellow Bearcat, Iguodala blocked away a Budinger layup attempt. 75% complete, the Dubs controlled the scoreboard. Curry put his magical touch and stole the momentum with a magical and-one and beat the horn with a three-ball. 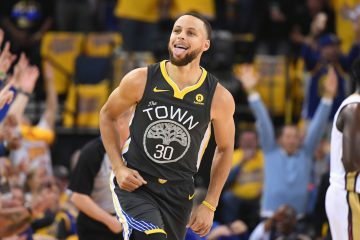 What once seemed to be a closed chapter, the Wolves scored ten straight to open the fourth and put the pressure back on the Warriors. Zach LaVine had 25 points with 10 minutes left to go in the game. Green answered and sank right wing three to push the lead to 10. The pestering Wolves wouldn’t throw in the towel and brought it down to five with a LaVine lay in. LaVine showed off his tenacity, scored seven in a row and singlehandedly brought the Wolves within one. Thompson’s long range shooting gave the Dubs a cushion with two and a half remaining. The Warriors picked up win 65 with Curry’s 34 points.